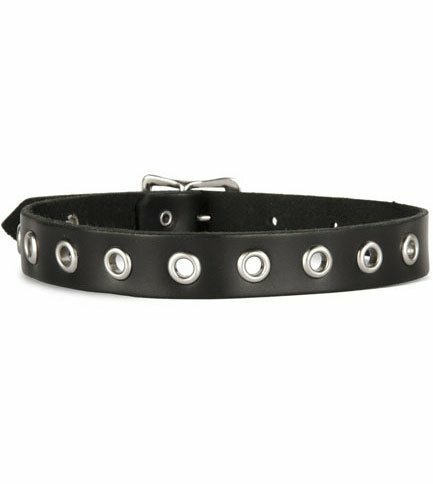 Select Size11" to 15"13" to 17"
This versatile black leather choker has a single row of grommets and a 1.25 inch wide adjustable buckle fastener. 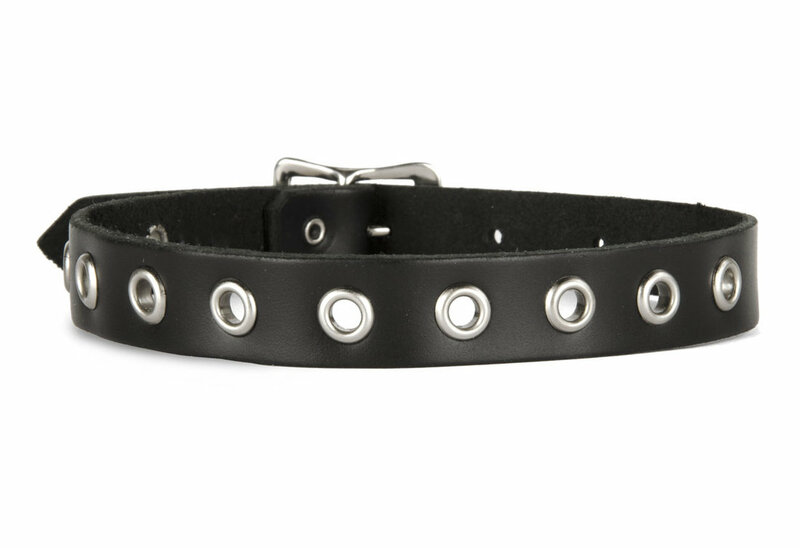 Screw back spikes can be place in the grommets for a more punk look. Adjusts 5 inches at 1 inch increments. Made in the USA.